Thru the Lens [(o)]: Little Champ ! 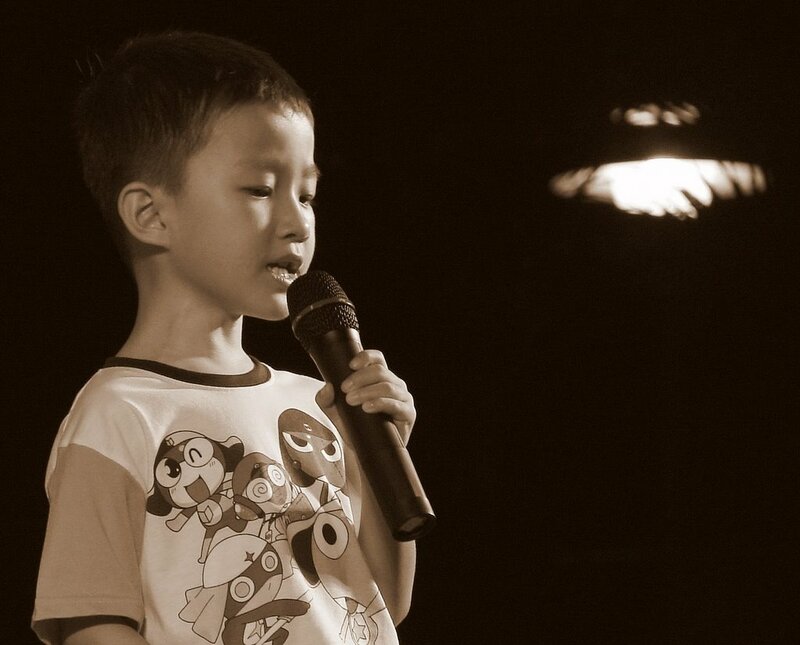 This kid showed his singing talent during the lantern festival in Chinese Gardens, Singapore. Nice shot! He looks like the famous kid on Orchard Road who is very good at playing drums. Have a great weekend!! Love the shot, love the way the light bulb is framed on the right. Good colour tones as well. Very sweet capture!! I like that you included the light in the background. It adds great interest to this shot.